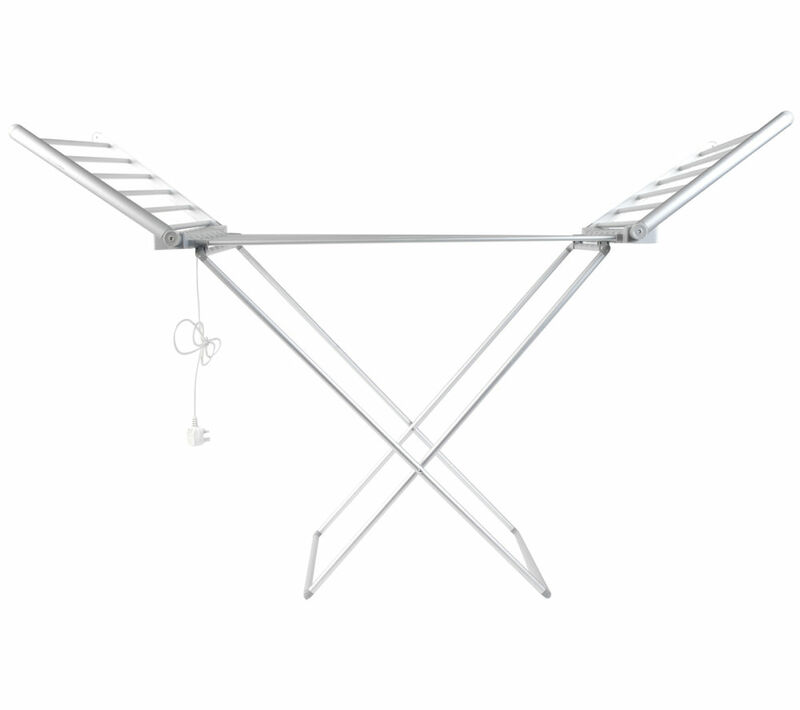 Use this Beldray EH1156 Electric Clothes Airer to help dry and refresh your clothes after washing. You'll get an impressive 12 metres of drying room with this Beldray EH1156 Electric Clothes Airer, providing ample space for hanging up your clothes. It features a strong aluminium frame that can support up to 15 kg of washing, so it's more than up to the rigours of daily laundry. Ideal for rooms of 0.9 m² in size and above, the Beldray EH1156 Electric Clothes Airer is a totally practical laundry accessory that will save you plenty of time and keep your clothes looking great. It is better than draping clothes all over the radiators. Also, left on in a room with the doors closed, it makes the room quite toasty! You do need to keep moving the clothes as it only dries the part of the clothes which are touching the bars. As long as you are aware of that, its a useful machine. 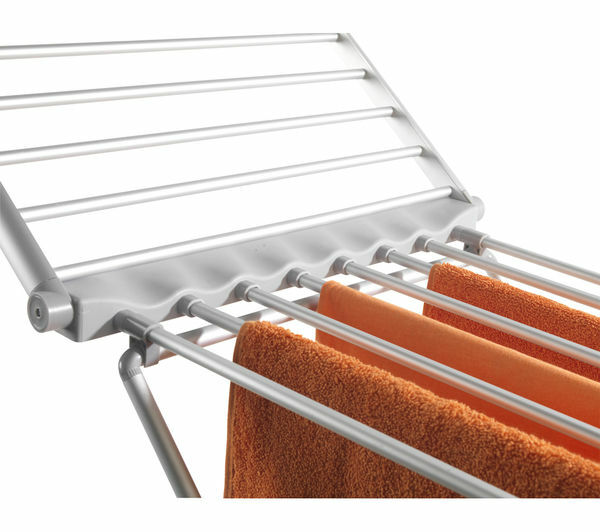 Of course clothes will only dry at the bits in touch with the bars, its not a miacle worker. I found it best to lay clothes flat and rotate them regularly. But for that extra boost to drying in damp days I've found it incredibly useful. Best to dry small batches of clothes laid flat, not a full load of washing. Cord a bit short.